When we feel nostalgia for good ole’ television fun, nothing fills the bill like The Carol Burnett Show. 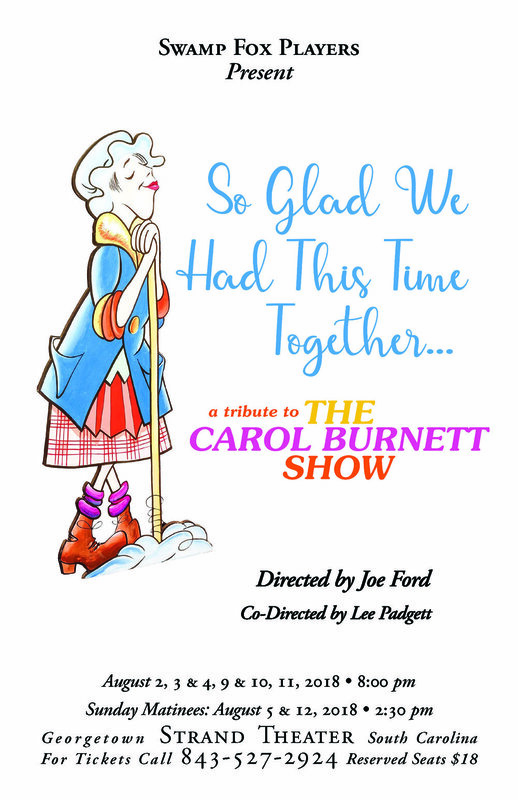 Join us as we reminisce about the laugh-filled, clever hour that was Carol Burnett’s gift to viewers. Actors will recreate skits and remind the audience of Burnett’s favorite guest stars and wonderful regulars. The sketches are still hilarious and the characters classic. These entertainers share the camaraderie that added an extra laugh and bit of the unexpected to every scene. Which will be your favorite: Tudball and Wiggins; The Dentist, Broadway Medleys, Hollywood spoofs or Mama’s Family?